IF YOU PURCHASE MORE THAN ONE BULLET OF THE SAME TYPE AND FROM THE SAME LOCATION, YOU WILL RECEIVE A DISCOUNTED PRICE ON THE GROUP! Now you can purchase standard bullets from a variety of Gettysburg locations. All of these bullets come from the Rosensteel Collection (all bullets but the Johns Farm bullets come from the Iva Rosensteel Collection). Although the bullet that your receive will come from the group that is shown in the photograph, you will not be able to choose the specific bullet. 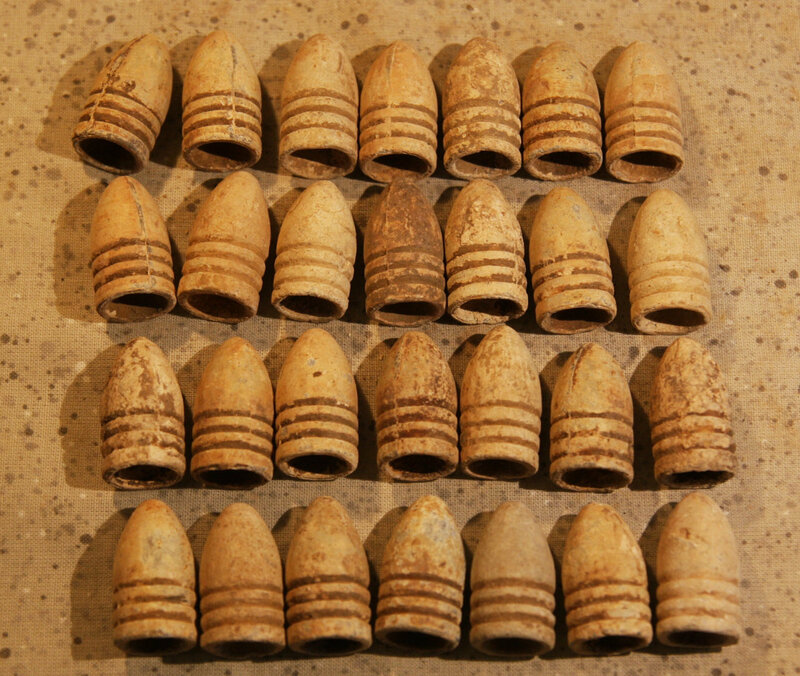 All bullets, however, are in good condition meaning that they might have small nicks, marks or scratches (typical of dug recoveries), but have retained their shape and will present well in a collection.